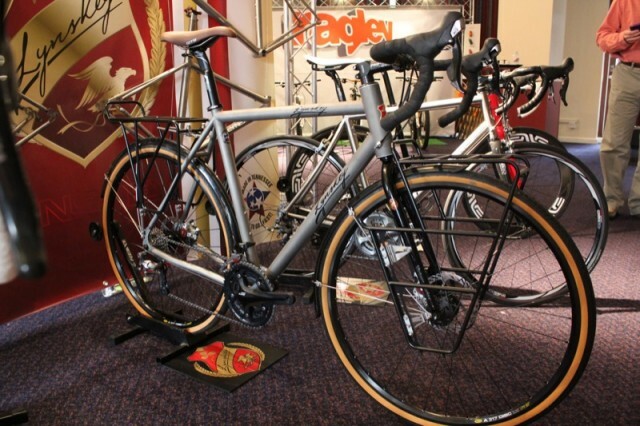 Lynskey don’t believe in do-it all bikes, they believe vehemently in making something that’s perfect for the intended use. They’re renowned for their own bewildering array of handmade Ti frames, as well as being responsible for all the Ragley Ti frames amonst others, and all production still happens in the USA. This is Lynskey’s big wheeled race hardtail, but it’s designed to be as at home on technical singletrack as it is tapping it out on fireroad. 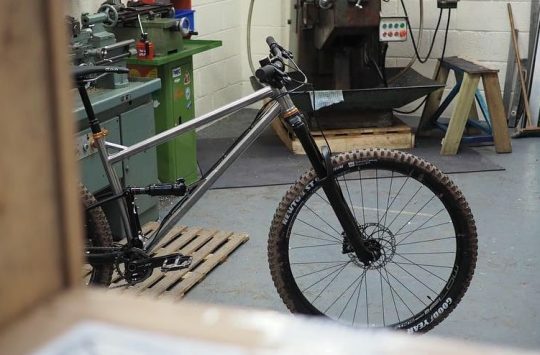 Made from 3Al 2.5V titanium tubing, it has Lynskey’s signature Helix twist on down and top tubes to provide increased stiffness and you can run anywhere up to 100mm of travel at the front. 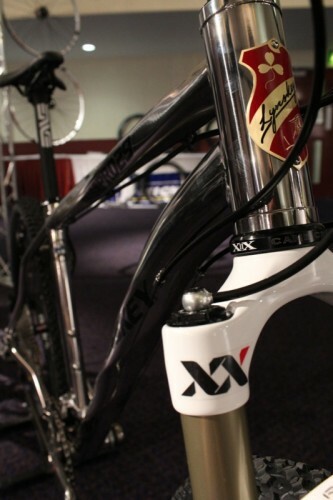 For 2011, they’ve increased the downtube size, added a plate style chainstay for better clearance and a 44mm ID headtube for all your fork standard needs. 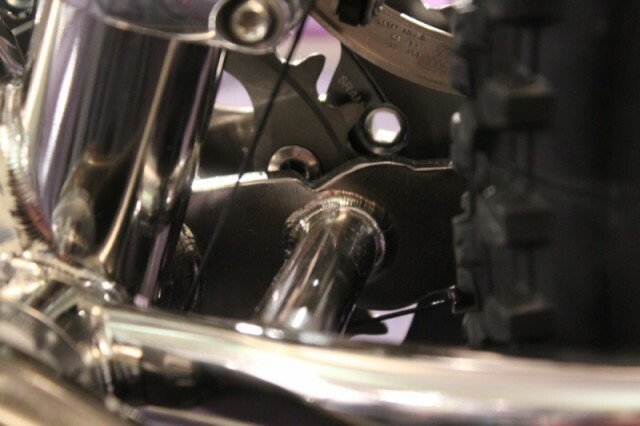 Plated chainstay gives improved clearance - can you tell a certain Mr Richards has been working with Lynskey? ..okay, it’s a $1,999.99 option – it’s an incredible amount of work to bring the frame to this standard. 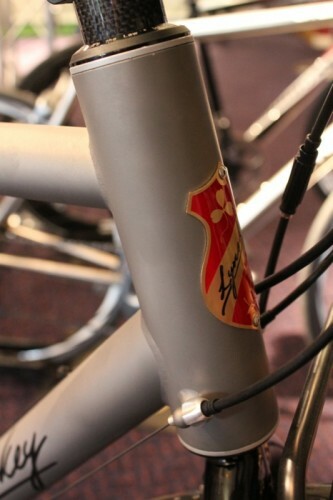 Even so, the finish and quality on all of the bikes is rather stunning. Beautifully tiny and neat fishscale welds and lovely detailing abound. Prices start at £1,699.99 for the Pro 29 VF in less flash ‘industrial mill’ finish, so a Pro 29 isn’t entirely out of reach. You can also get the frame with adjustable dropouts as the Pro 29 SL (also £1,699.99) and there is a Lefty forked, BB30 press fit BB version available off the shelf for £1,799.99. 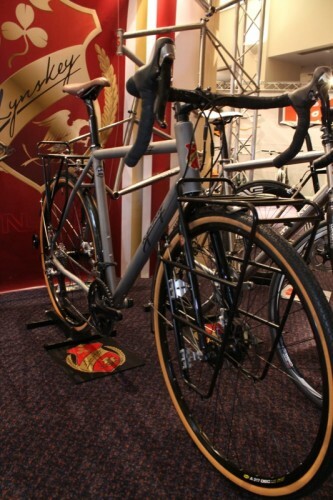 Yup, it might be a touring frame but it’s the first one that’s tempted Jon to the dark side of panniers. 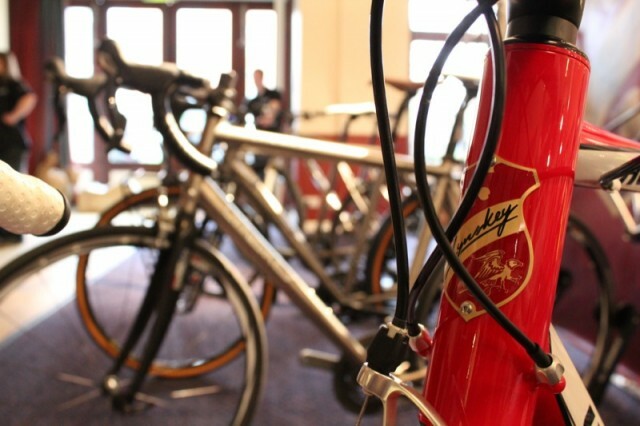 There’s no loaded weight limit on the frame and Lynskey say it’s the strongest touring frame out there. There are disk brake mounts along with 135mm rear spacing so you can run mountain bike 10spd kit and the headtube is a proper 1.5″ item. There are also full mudguard and rack mounts and the Vicious Cycles forks on this build have lowrider mounts. Geometry is designed to be nice and stable even when loaded. 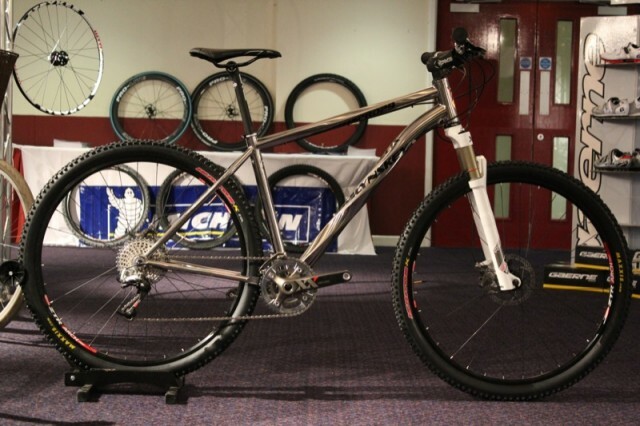 Basically it’s tough, slack and low – everything we like in a mountain bike on a touring bike. Perfect for all your world tour needs. Basically a Nuke Proof Scalp for the touring world. ..but all we care is that it looks nice. Why don’t more people paint Ti? 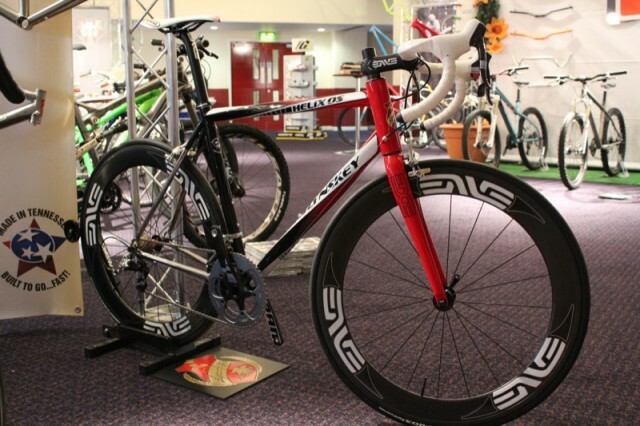 As well as their standard frame offerings, there are a number of levels of custom build. The Houseblend Custom allows you to take a standard Lynskey design and have the geometry tweaked to suit your own preference. 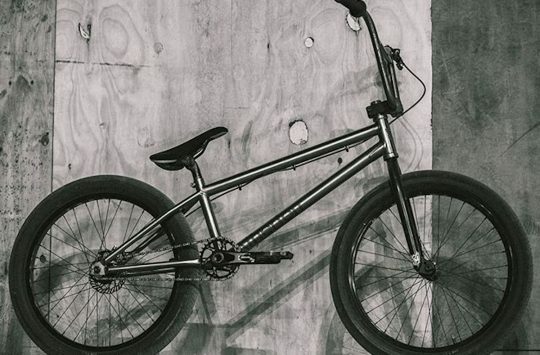 If you’ve got something special in mind then the Pro Build Custom is the one for you. There are four levels depending on whether you’re after a sport orientated frame or something for top level competition use. Lynskey will work with you to match the Ti alloy, tubes sizes, profiles and geometry to perfectly suit your intended use. On top of that there’s an unlimited variety of paint and tube finishes available – well, limited only by the depth of your pocket and how far you want to go. 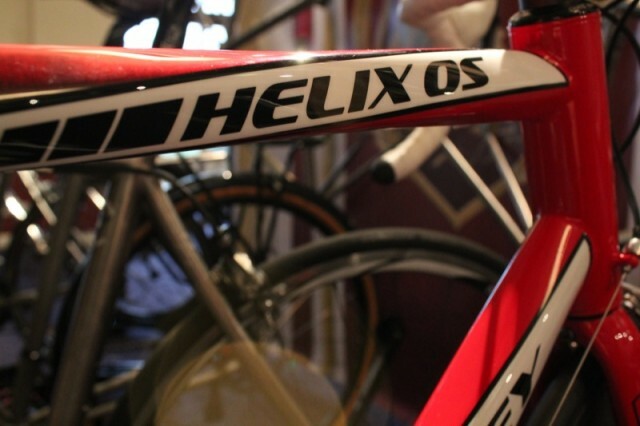 What a fantastic looking frame, love the Helix look – looks and probably IS expensive! 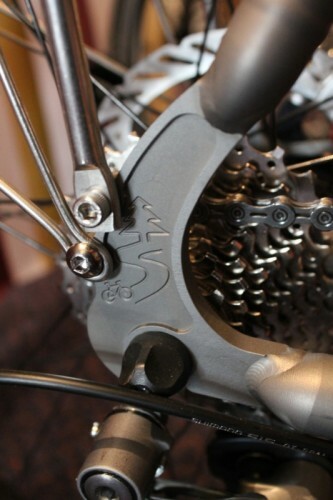 Those touring dropouts also look great! 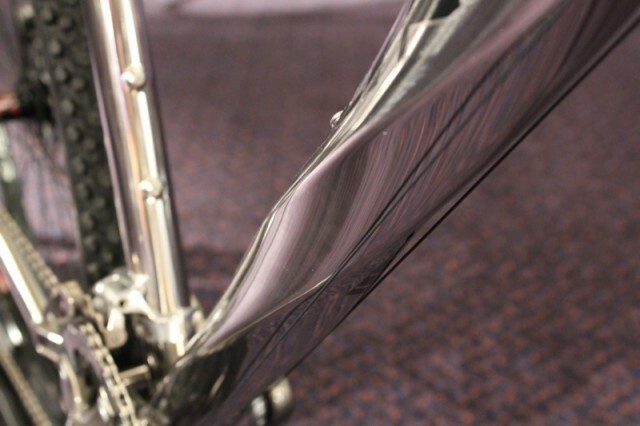 Polished titanium is the future of bike finishes. what is the theory behind 1.5 headtubes on the tourer and road bikes with what look to be regular 1 1/8 forks? looks a bit weird to me. I could see a benefit I suppose if you have a fully loaded tourer it puts less stress on the lower headset bearings but I’d have thought there’s an opportunity to beef the fork crown up a bit too? Twisted Helix tubing looks… er gack! ugly and pointless. Not into those tube profiles either. I’m far from being a fan of that twisted tubing. Though honestly, I don’t find it any more silly nor pointless than Specialized curved tubes and graphics. I choose that kind of variety over latest mainstream design proposals any time. 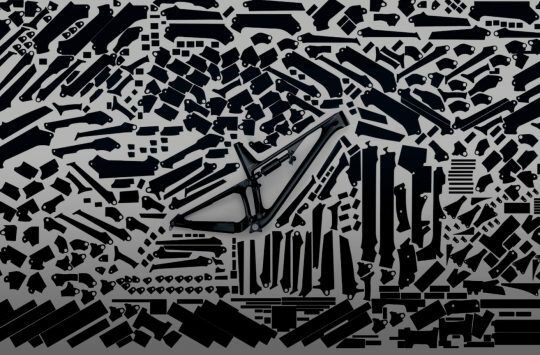 In fact, especially in DH bikes segment, recently the industry finds it very hard to diversify their designs: Operator – Session – KHS – Norco – Glory – Summum.